GREAT ABACO, Bahamas (Jan. 24, 2018) – So close to a potential first win on the Web.com Tour, Rhein Gibson saw it all collapse over the final two holes on Wednesday in The Bahamas Great Abaco Classic. The Oak Tree National member and Oklahoma Christian Athletic Hall of Famer, tied for the lead after 16 holes, closed his round at The Abaco Club with two bogeys and finished third, two shots behind Adam Svensson of Canada and one shot behind one of his playing partners, Sungjae Im of Korea. It was the second third-place finish in as many Web.com Tour events this season for Gibson. He earned $40,800 and is third on the season money list with $69,600. The top 25 money earners during the Web.com Tour’s regular season will earn a PGA Tour card for 2019, along with the top 25 money earners during the Web.com Tour’s postseason. Gibson entered the final round in a three-way tie for second with Im and Svensson, one shot behind Willy Wilcox of the U.S. Wilcox fell out of contention with a triple bogey on the par-4 No. 11 and it became a three-man race, with Svensson leading the way. Gibson started well, with an eagle on the par-5 first hole, then bogeyed No. 3 and No. 4 to give back his gains. By the turn, he was 2-under for the round, but Svensson was 4-under thru 10. Svensson three-putted on No. 17 for bogey, allowing Gibson –playing in the final group – to move into a tie for the lead at 17-under, one shot ahead of Im. But Gibson left his tee shot short at No. 17 and ended up also three-putting, while Im got up and down after hitting his tee shot into the rough. Svensson managed only a par on the par-5 No. 18, leaving the door open for Gibson and Im. Gibson’s second shot, however, sailed into the rocky rough and appeared to land in a hedge. Gibson’s caddie removed the ball without consulting Gibson, resulting in a two-shot penalty. Gibson nearly converted his chip shot from off the green, then made a putt for a bogey. His 2-under-par 70 put him at 15-under 273 for the tournament. Gibson posted four under-par rounds, having shot 71, 65 and 67 in the first three rounds. Im – who won the tour’s season opener last week, also in the Bahamas – missed a 10-foot birdie putt that would have forced a playoff. Among other players with Oklahoma ties, Wyndham Clark, who played three seasons at Oklahoma State, tied for fourth at 13 under as did former Cowboy Kevin Dougherty. Taylor Moore of Edmond tied for 40th at 5-under as did former Cowboy Ed Loar. Former Tulsan Tag Ridings tied for 70th. Despite the disappointment, there’s no doubt it’s been a strong start to the Web.com Tour season for Gibson, a 31-year-old Australian who now lives in Edmond and plays out of Oak Tree National. The top-three finish was the sixth in Gibson’s career on the Web.com Tour, which he began playing in 2015. He now has nine top-five and 12 top-10 finishes on the tour. 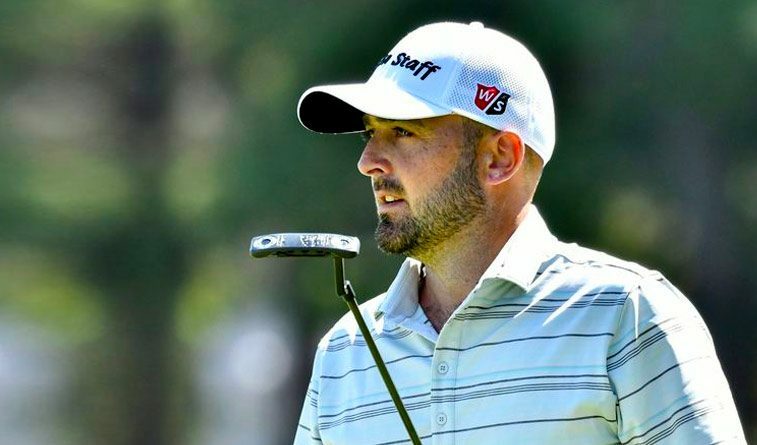 With most of the season still in front of him, Gibson would seem to be in a good position is to earn his way back onto the PGA Tour, which he played in 2016 after finishing fourth at the 2015 Web.com Tour Championship. While at OC, Gibson won four individual tournament titles while helping the Eagles to a pair of runner-up finishes and a pair of third-place team showings at the NAIA Championship. Shortly after his graduation in 2008, he won the Oklahoma state amateur title and was named as the Oklahoma state amateur player of the year in 2008. He was inducted into the OC Athletic Hall of Fame in 2014.